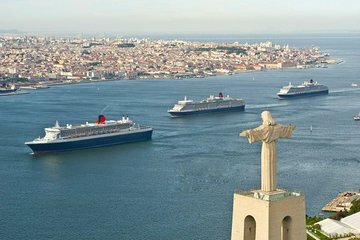 This action-packed Lisbon tour is the perfect way to discover the city’s best views. You’ll save time booking transport by having hotel pickup and drop-off included. Travel between dispersed sites in a comfortable vehicle to save time and get the most out of your trip. You’ll stop at many sites during the day including Estacao do Rossio, Praca Dom Pedro IV, and Praca do Comercio. During the tour, your guide will explain the significance of each viewpoint.